Create engaging video training content that shows, tells, and inspires your employees and sales partners. Leverage the emotional pull of employee training videos to build excited and aligned teams. 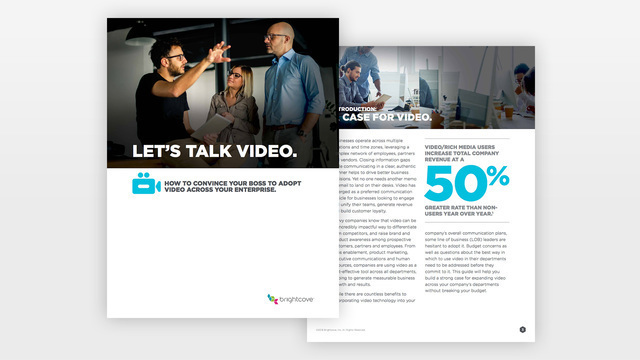 Build branded video hubs for accessible and evergreen training content. Create robust video reference centers to quickly onboard new hires. Leverage rich viewer data and analytics to understand engagement rates. Boost sales by helping your partners be more effective with employee training videos. Inspire confidence and consistency with live and on-demand partner training. Provide partners with leading-edge video tools that help them engage customers. Use video galleries and live streaming to extend the reach of your in-house teams. Support all of your partners with complete peace-of-mind. Lock your player to specific networks or sites with IP address and domain restrictions for complete player protection.